Indra Publishing House seeks to strengthen indigenous as well as foreign authors to share their knowledge and experience with all of us. Indra Publishing House (IPH) is a publishing house which provides a path to the fresh talent as well as established authors. We have a wide distribution network across the nation and it has covered all the major cities of India. We are also into Printing business and act as Literary Agent for Foreign Publishers too. 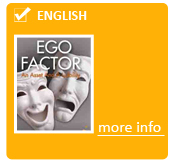 We have published books in English, Hindi and Marathi of both Indian as well as authors from USA, UK and Ireland. Indra Publishing House was established in the year 2004 by Mr. Manish Gupta, Managing Director IPH. We have launched national as well as international authors. The collective efforts of the team of IPH make it stand in the queue of renowned publishers of India. A vibrant, self-sustaining and independent publishing house emanating from within Indian culture. To promote Indian as well as foreign writers. Indian literature strongly represented in the international intellectual community. To promote Indian aesthetics and culture worldwide. To promote fresh and vivacious talent in the field of Literature. To represent India globally by publishing some more best sellers. To represent Indian authors in International market and foreign authors in India. To provide knowledge with entertainment through Books. To promote indigenous knowledge and culture through books. IPH stocks largely consist of English language titles. It also publish books in Hindi as well as Marathi language. More than 100 new titles are added each year. We lay emphasis on Management, Motivational titles, Spiritual titles, Self-helpbooks, Fictions, General & Techinal books. All titles are available for immediate supply: either directly through us, or from our wholesale partners.